Provide comfort for the family of Dr. Douglas Shumway with a meaningful gesture of sympathy. 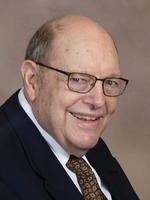 Dr. Douglas Keith Shumway, age 90, passed away February 6, 2019 at Faith Hospice at Trillium Woods. Douglas was born August 5, 1928 in Barberton, Ohio, the son of George and Loula (Roberts) Shumway. He grew up in New Jersey where he graduated from Hackensack High School. He was also a proud Eagle Scout. 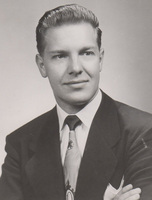 He graduated from Davis & Elkins College in Elkins, West Virginia and earned his medical degree from the Philadelphia College of Osteopathic Medicine in 1957. He practiced family medicine in Middleville from 1958 to 1990 and was also a physician for the VA outpatient clinic in both Grand Rapids and Battle Creek. He was on staff at the Grand Rapids Osteopathic Hospital and a member of the Kent County Osteopathic Association. A beloved member of the community, he was a member of the Middleville United Methodist Church. He enjoyed spending time outdoors hunting and fishing with his friends. He was a licensed amateur radio operator. Most of all, Dr. Shumway was loyal to those he loved and a wonderful man who took care of his family and patients. Doug is survived by his wife of 65 years, Christine (Kesling) Shumway and his children: Julie (Christopher) Walters; Lee (Lydia) Shumway; and Stacy (Frank) Scutch; six grandchildren; siblings: Sandra (Winnie) Shumway; Judith Kasper; and Lance R. (Suellen) Shumway as well as a niece and several cousins. Douglas was preceded in death by his parents. Dr. Shumway’s family will receive friends, Friday, 4:00 to 7:00 PM at the Beeler-Gores Funeral Home and Saturday, February 9, 2019, 1:00 to 2:00 PM at the Middleville United Methodist Church where his funeral service will be conducted at 2:00 PM, Pastor Tony Shumaker officiating. Burial will take place in Mount Hope Cemetery. Memorial contributions can be made to Middleville United Methodist Church. Please visit www.beelergoresfuneral.com to share a memory or to leave a condolence message for Dr. Shumway’s family. 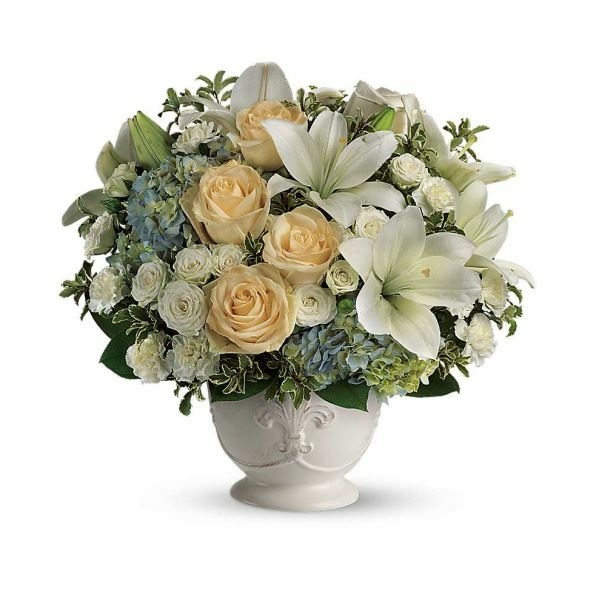 To send flowers in memory of Dr. Douglas K. Shumway, please visit our Heartfelt Sympathies Store. Judith Shumway Kasper and Daivia Kasper sent flowers to the family of Dr. Douglas K. Shumway. We are so sorry to hear of the passing of Doctor Shumway. We will never forget what a wonderful doctor and friend he was to us as newly weds. He continue to be are physician until he retired. Our prayers and thoughts are with his family. George & Ruth Hokanson Jr.
Judith Shumway Kasper and Daivia Kasper purchased flowers for the family of Dr. Douglas Shumway.